For all your wood fencing needs! 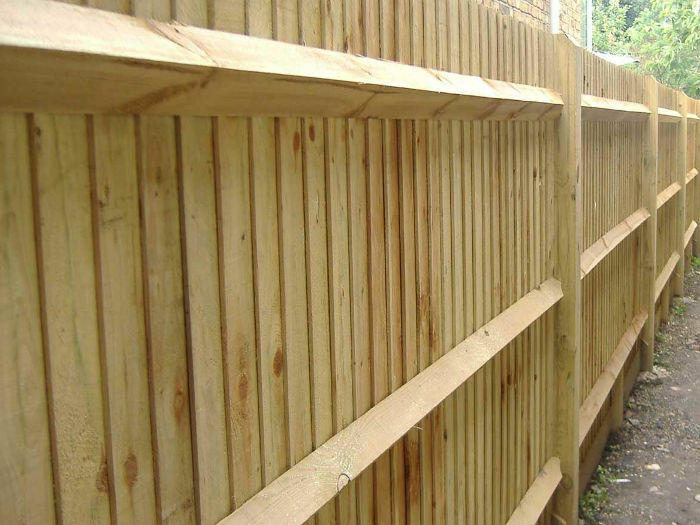 We stock most items and buy more in when stormy weather is forecast so you can rely on us to have the fencing supplies you need when most others suppliers have sold out! 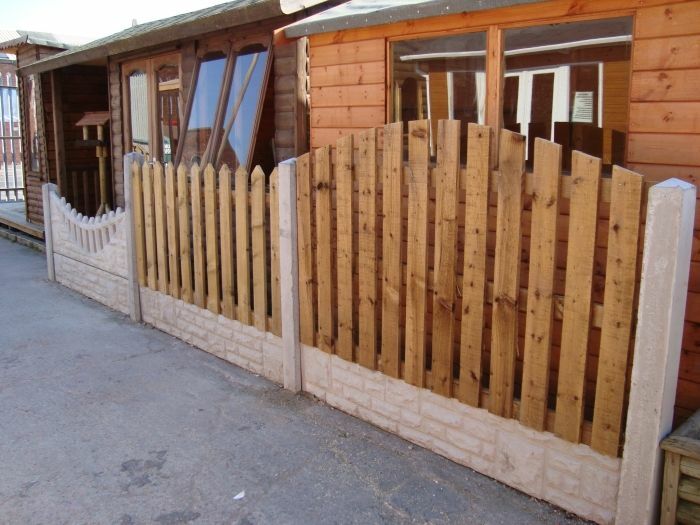 Our large premises offer you the chance to look around and see our entire range. 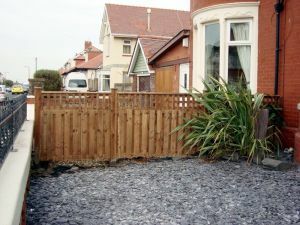 We are happy to deliver anywhere in the North West including Blackpool, Preston, Blackburn, Fulwood, Fleetwood, Lancaster, Burnley, Kirkham, Lytham St Annes, Chorley, Bamber Bridge, Lostock Hall, Poulton, Thornton Clevelys, Knott End, Morecombe and so on. 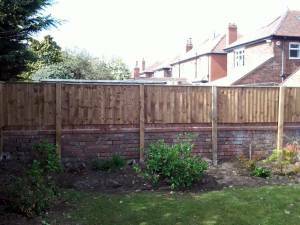 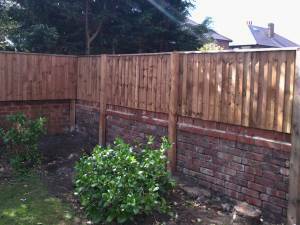 What is a Featheredge fence? 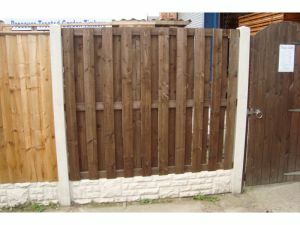 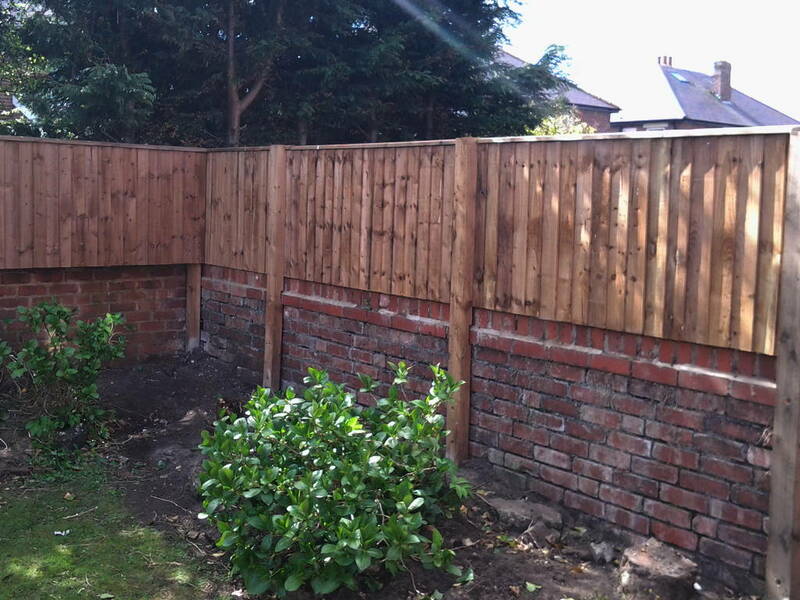 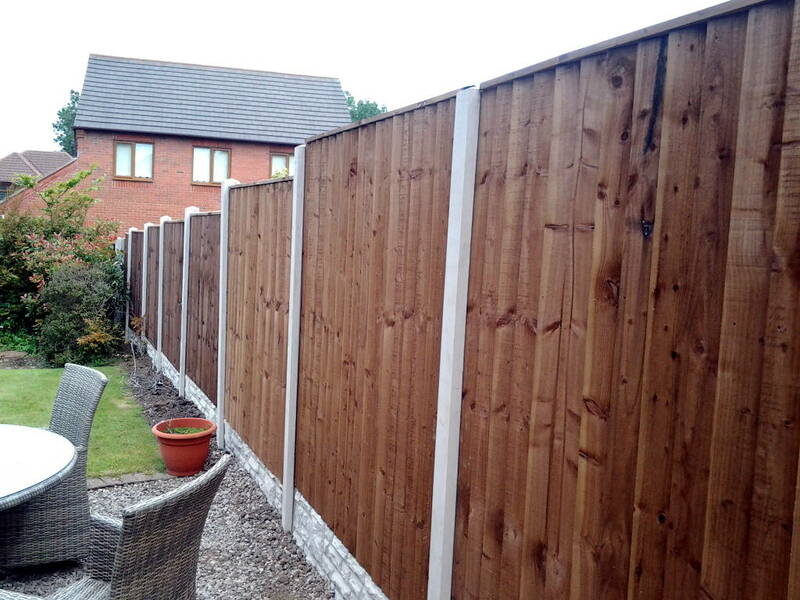 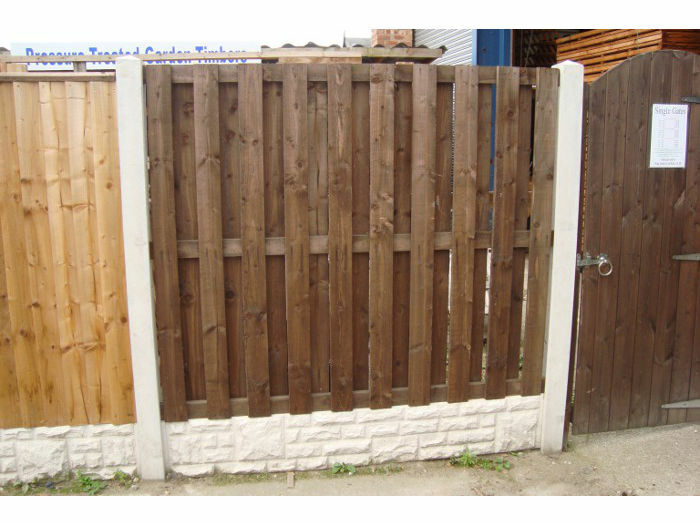 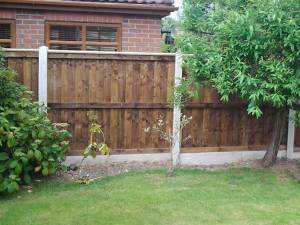 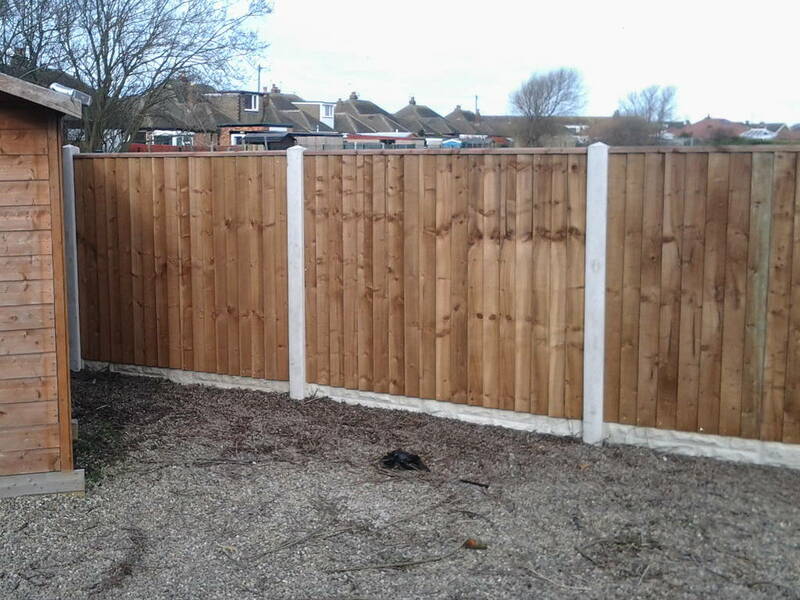 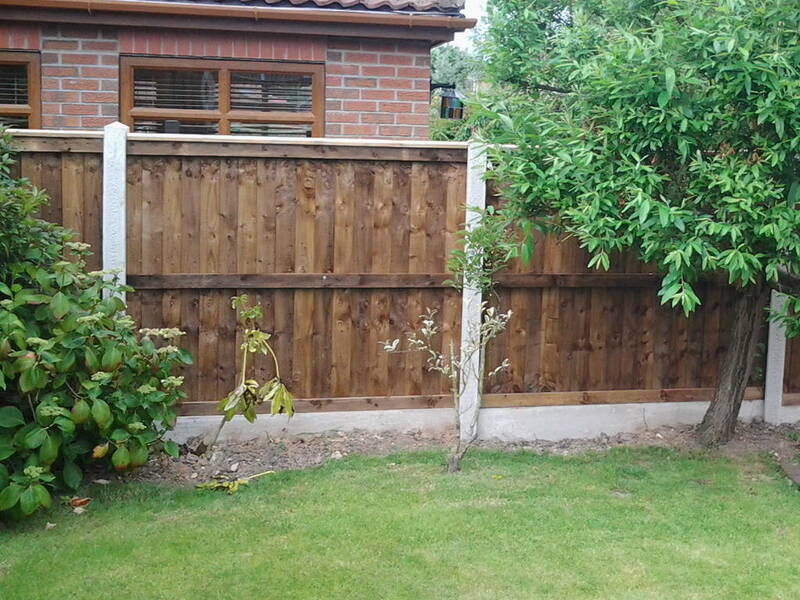 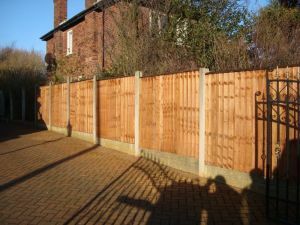 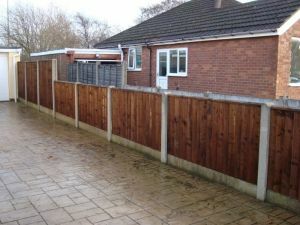 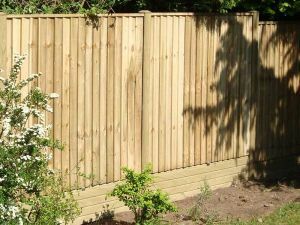 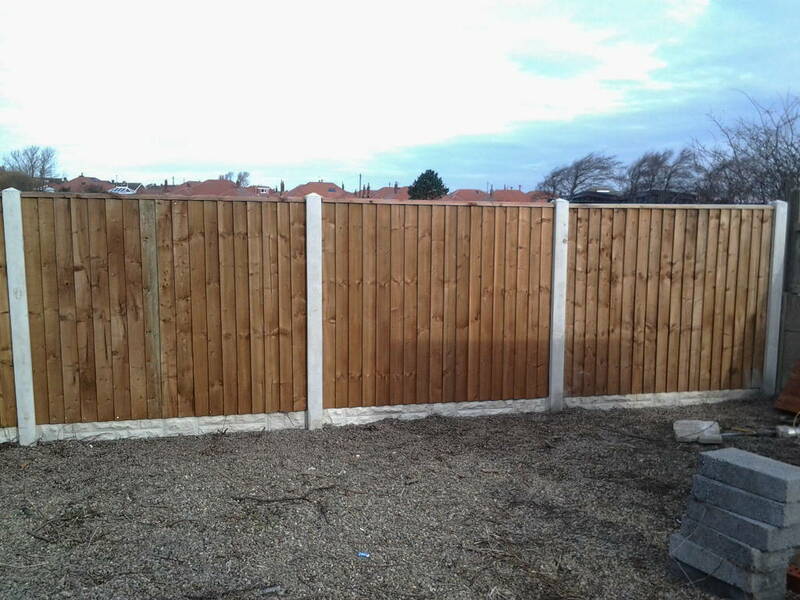 A featheredge fence is decorative fence created using overlapping boards which taper to a thin edge at one side. 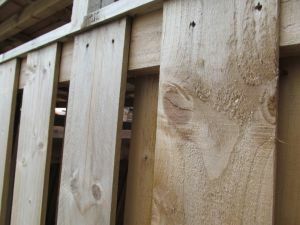 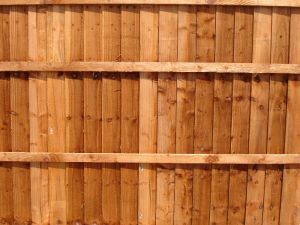 The thin edge is overlapped by the thick edge of the adjacent fence board, repeating across the entire panel to leave no gaps. 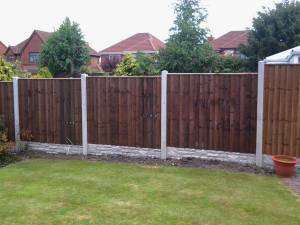 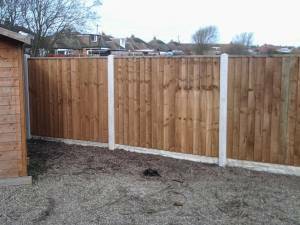 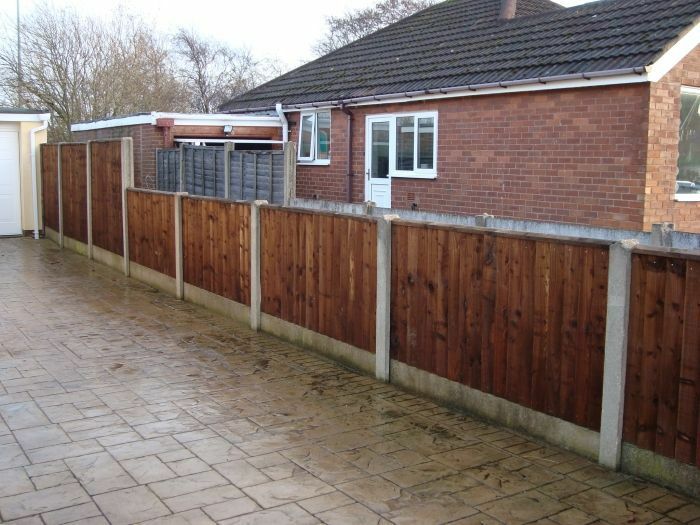 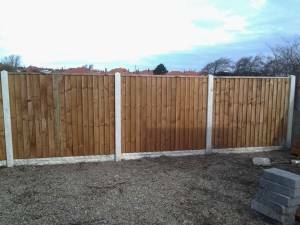 What are the advantages of a featheredge fence? 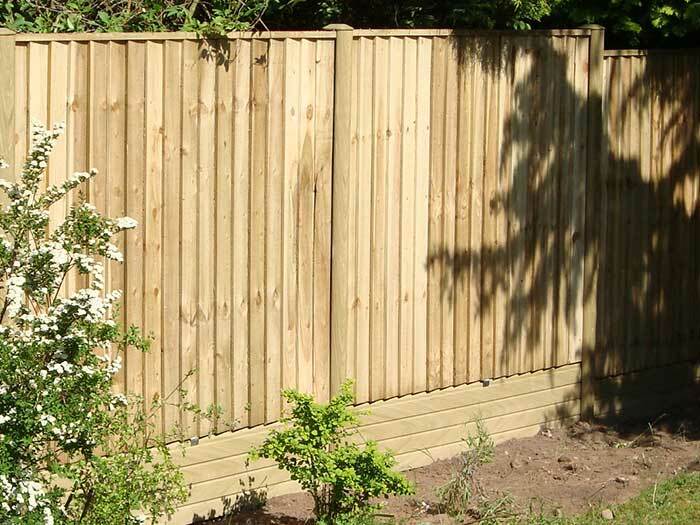 Featheredge fencing offers superior durability and strength over lap panel fencing, without sacrificing style and decorative appeal. 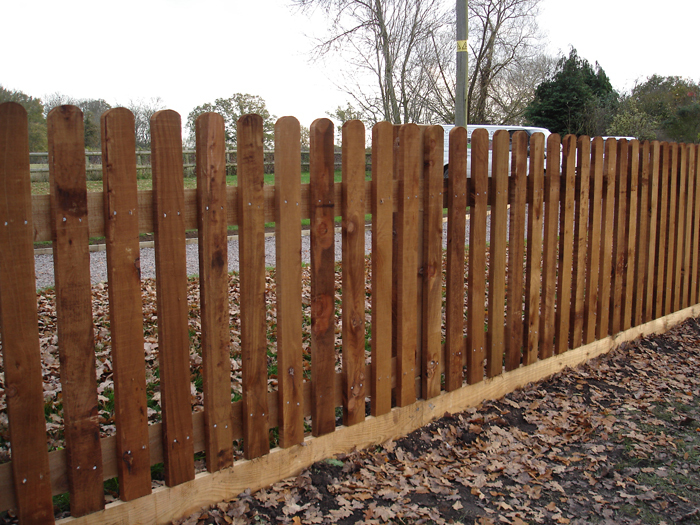 It is ideal for exposed areas, harsh weather conditions, visibility screening, good security or other fencing jobs where strength is a requirement. The featheredge panels we produce are by far the strongest panels we have ever seen in our experience. Using 32mm x 75mm back rails combined with 125mm featheredge boards and finished with a heavy duty capping this makes a very strong panel. 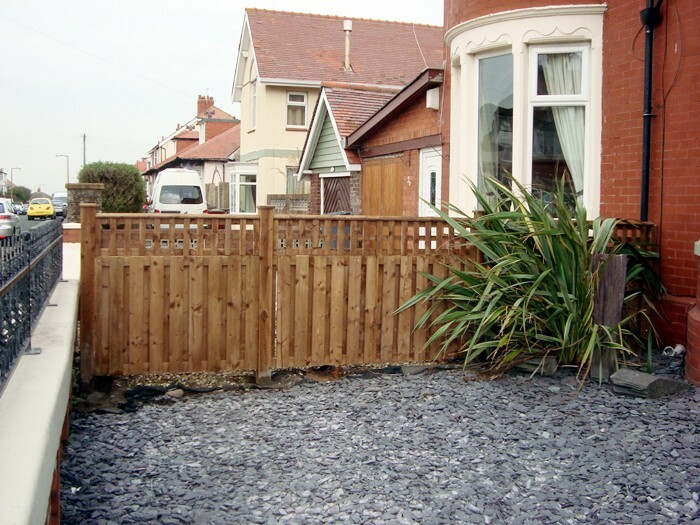 All boards and rails are pressure treated for low maintenance! 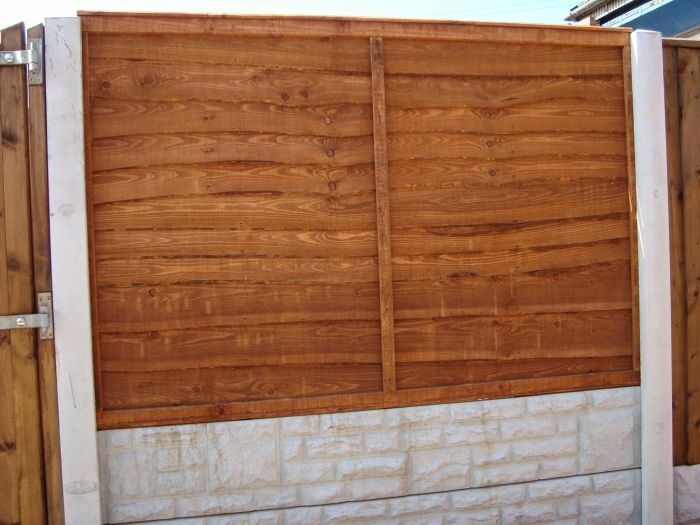 Available in sizes from 6'x 1' to 6'x 6' with double sided panels made to order this has to be the ultimate "fit & forget" panel. 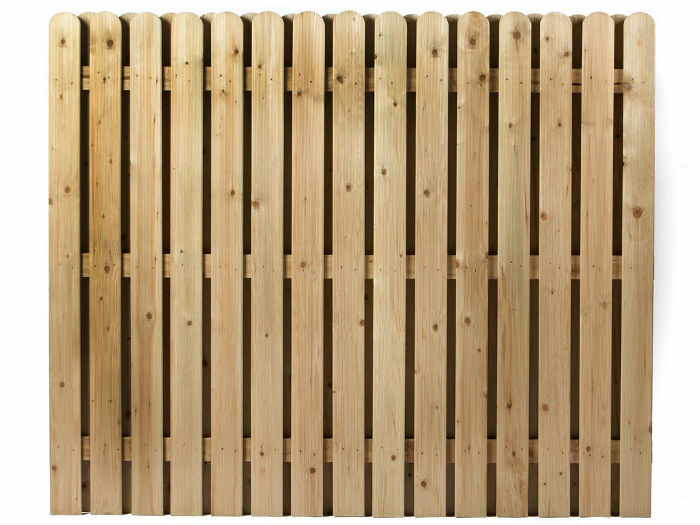 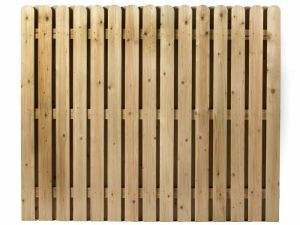 These garden fence panels are built to last, with sturdy timber or concrete posts. 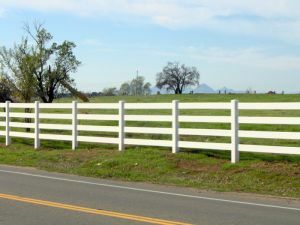 What is a Hit and Miss Fence? 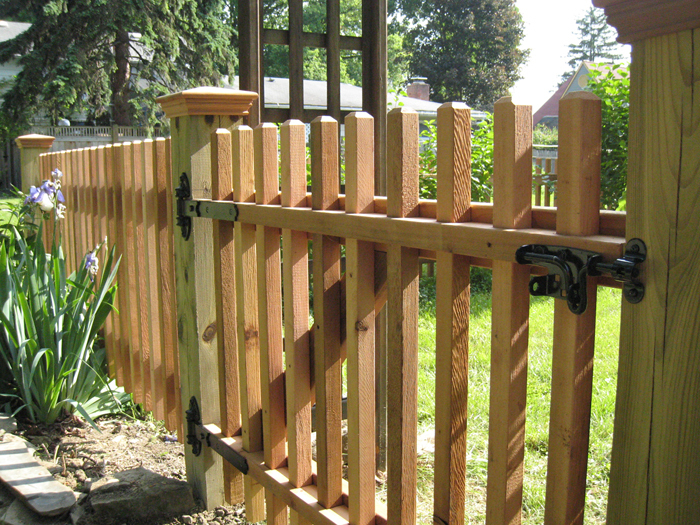 A Hit and Miss Fence gets its name from how the boards or pales are fixed to the fence rail. 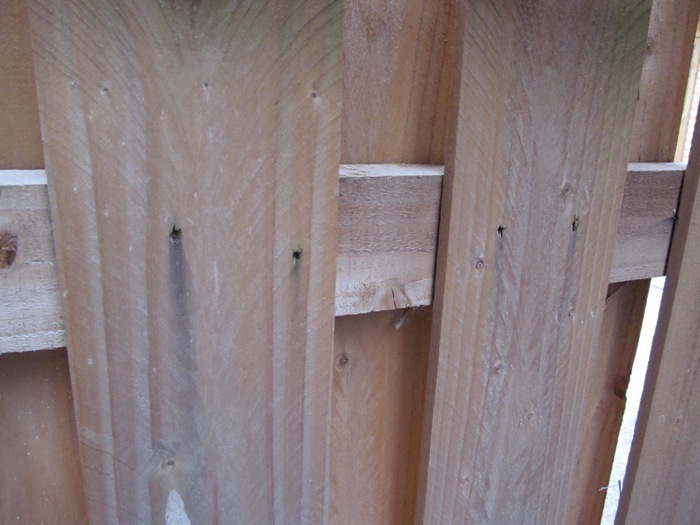 They alternately are fixed front and back with a gap as wide as the board. The boards are positioned so as to fully obscure the view. 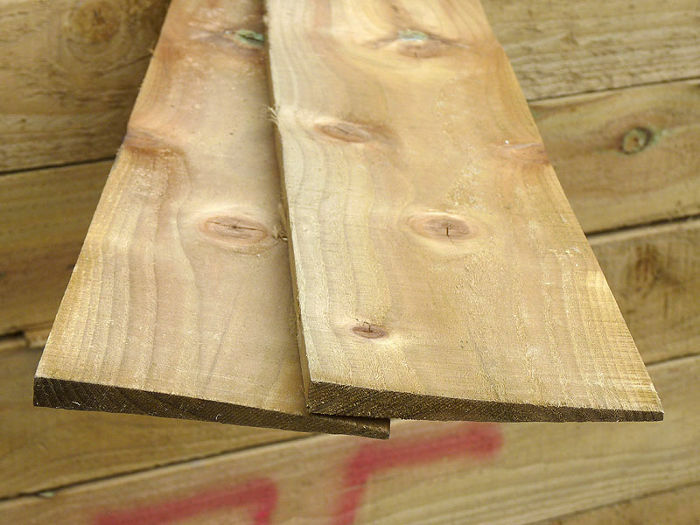 The pales come in various styles and widths. 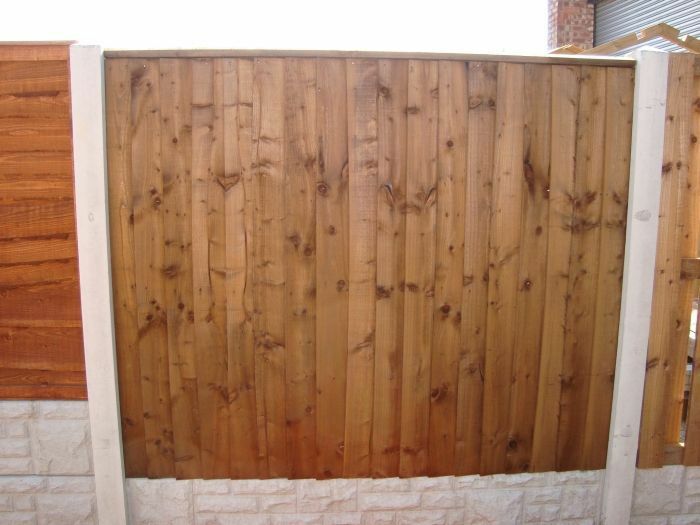 What are the advantages of a Hit and Miss fence? 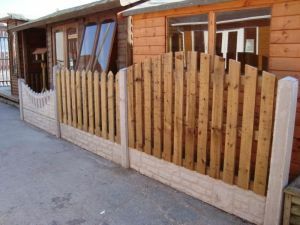 A Hit and Miss fence offers a consistent view of the fence from both sides as well as allowing some wind to pass through the gaps, whilst also diminishing its force. A lattice fence is one with an open framework made of strips of wood. 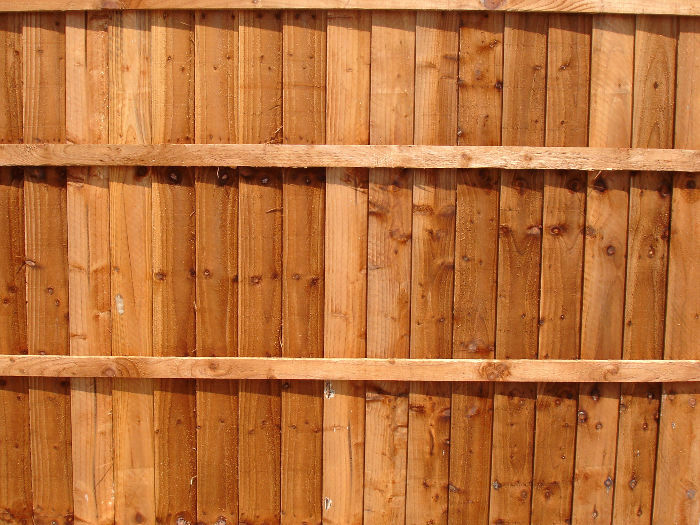 The wood has an interwoven pattern to create a very decorative and visually pleasing appearance. Lattice panels come pre-made and are assembled between supporting fence posts. 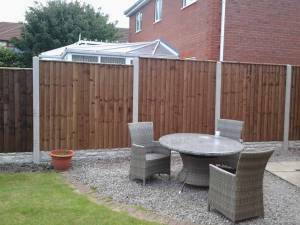 Lattice fencing is the most visually appealing and decorative of all fencing options. 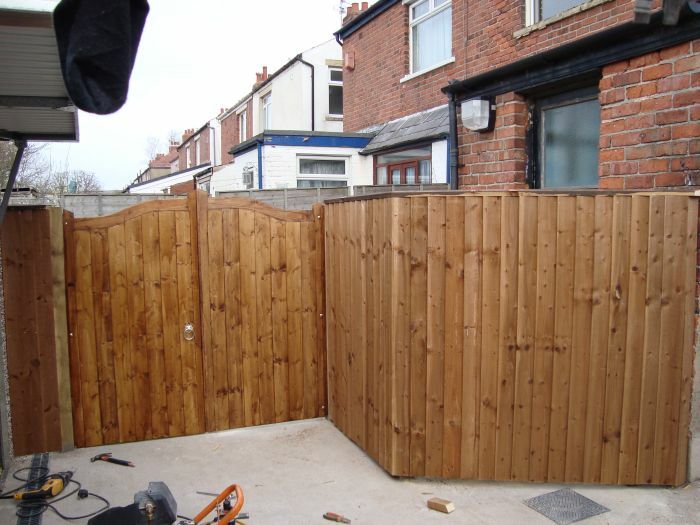 Options allow for an open see-through style or a fully obscured style where the emphasis is on the appearance. 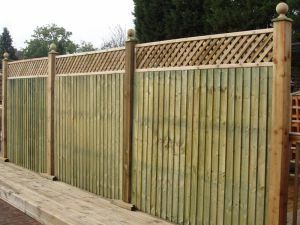 This style of fencing also lends itself perfectly for use as a climbing frame for plants where an organic aspect is desired. 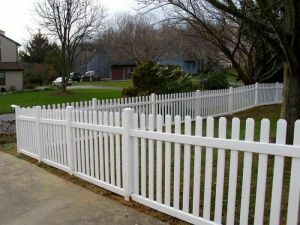 A Picket Fence (also commonly known as palisade fencing) is traditional style of fencing using from wooden pales fixed to a wooden rail with gaps left between the pales. 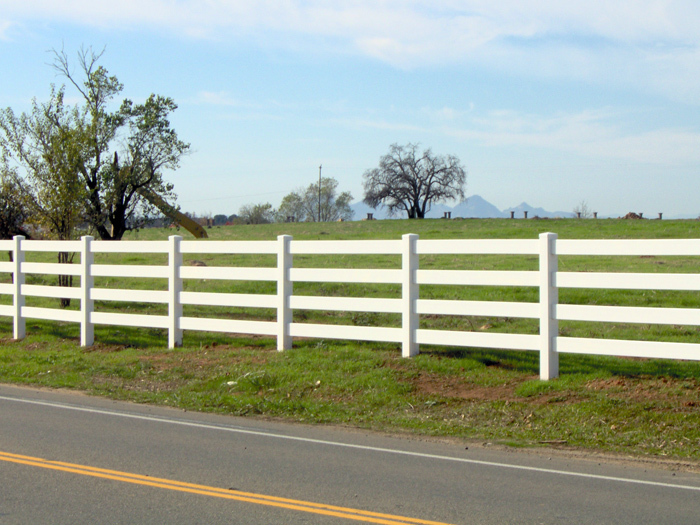 Various pale styles are offered including rounded top, pointed top and variations thereof. 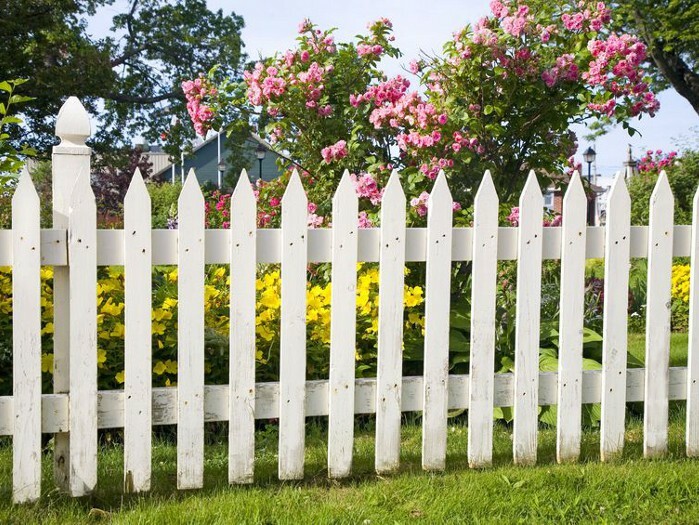 What are the advantages of a picket fence? 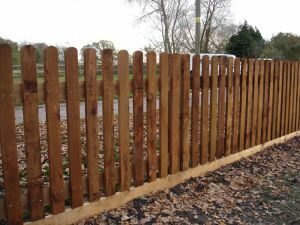 Picket fencing is ideal for protecting or cordoning off an area, or marking out boundaries, whilst allowing light to pass through or allowing some view of the scene behind. A picket fence works well for the majority of properties and gardens as it can protect garden features such as ponds or a vegetable patch without obscuring the view.